Ants live in colonies, usually outside but will come indoors to forage for food. Action is taken when their numbers become bothersome to the resident. 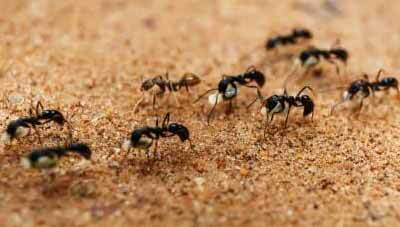 Bait can be set out for ants which they take back to the colony to share with the others. There are also sprays to control their entrance into your home. The colony needs to be located for long term control. Don’t provide ants with a food source. Wash counters with soap and water to remove the pheromone trail they leave behind. This tells the others in the colony where to find the food. Call us now and we’ll deal with your ant problem!